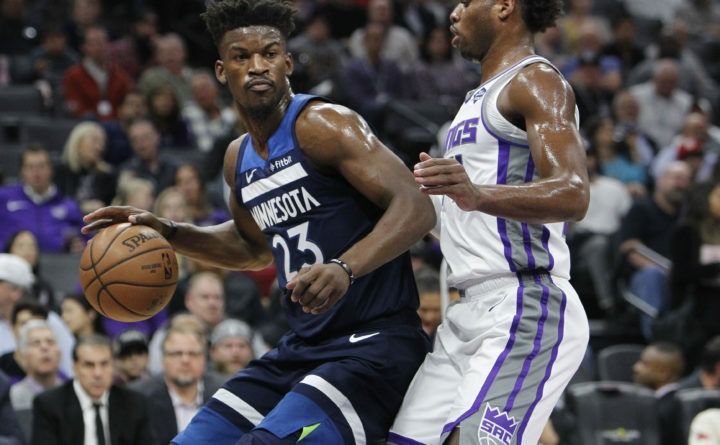 Minnesota Timberwolves guard Jimmy Butler (23) battles for position against Sacramento Kings guard Buddy Hield (24) during the first half of an NBA basketball game in Sacramento, Calif., Friday, Nov. 9, 2018. 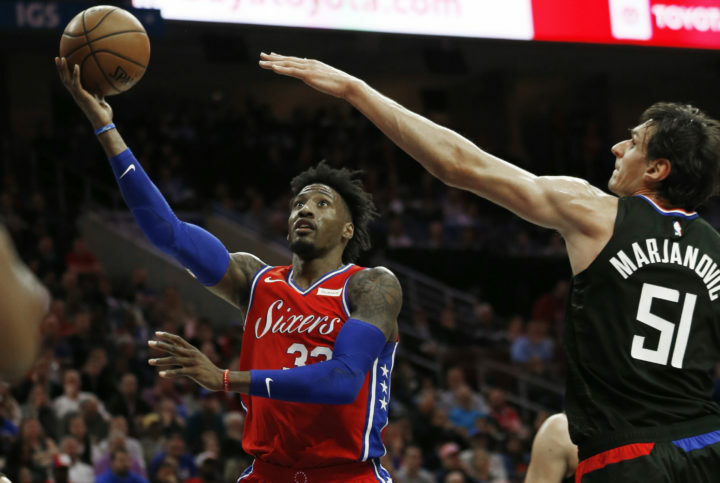 This Nov. 1, 2018, file photo shows Philadelphia 76ers forward Robert Covington (33) taking a shot past Los Angeles Clippers center Boban Marjanovic (51) during the second half on an NBA basketball game, in Philadelphia. Jimmy Butler is headed to Philadelphia, ending the weeks-long saga of him wanting out of Minnesota. A person with knowledge of the situation says Butler is being traded to the 76ers in a package that will send Dario Saric and Covington to the Timberwolves.